I will be posting my results of scanning in my Ecoboost 2.0 and Miata 6 speed trans in the next couple weeks. I have a few 3d printers and plan to model up what I have in 1/8th scale before I finish the build. I've had good results scanning in busts for printing, so I think the scans should work out well. If it works as planned I'll scale files and provide links to the STL's. 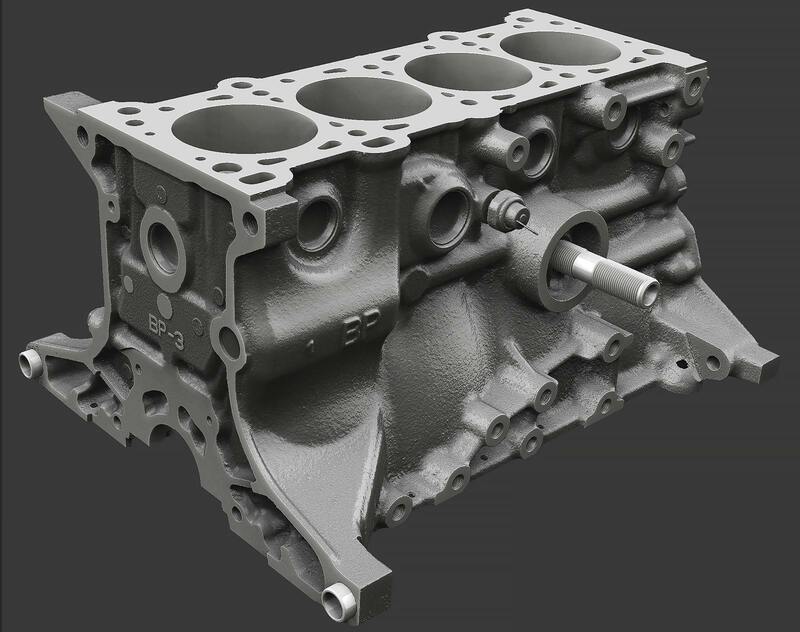 These are available as CAD models directly from Ford, if you know who to talk to. I stared sharing my scan files. I haven't scanned any of the drivetrain yet but eventually I will have every piece of the miata drivetrain up for download. I know this hasn't been super up to date at all but is anyone still doing this? I'm planning on scanning my sr20det engine so I can make proper engine mounts this go around. I don't mind painting my engine white for this. Just will make it easier to see leaks later anyways. I've got a decent DSLR camera and I've been itching to get some lights for my garage. Is there a good tutorial that I can use for this? That's pretty amazing. You can see the inside passages too. Did you do that scan? If so, what did you (or the party that did it) use in terms of software and hardware? The oil and coolant passages aren't in the scan (only the first half inch or so) but the head flow is there, just a little rough in places. This was 741 photos from a nikon d800E process in reality capture. Cool. Were you able to do the processing of the images using an consumer-affordable workstation, or did you use something bigger? I'm using a 2 year old 4 core I7 machine. Nothing fancy. Block is done. I should be able to do the oil pan next week. 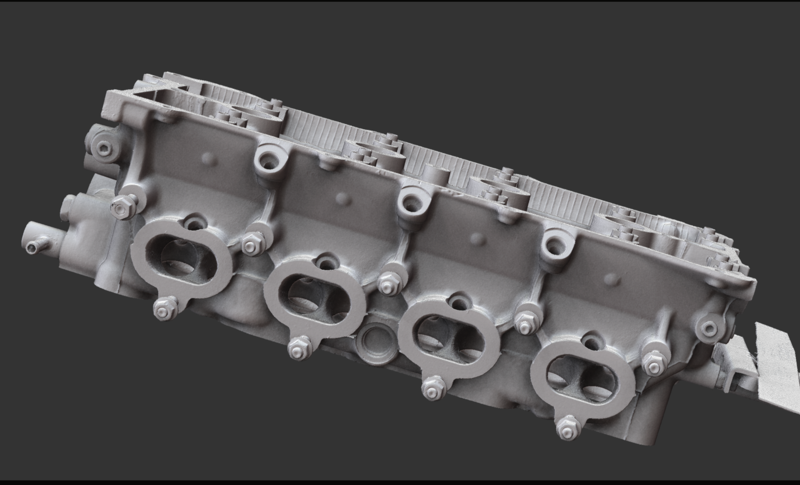 Once that is done I will stack up the pan, block, head, and valve cover into one object and upload it for people to mock up fit. 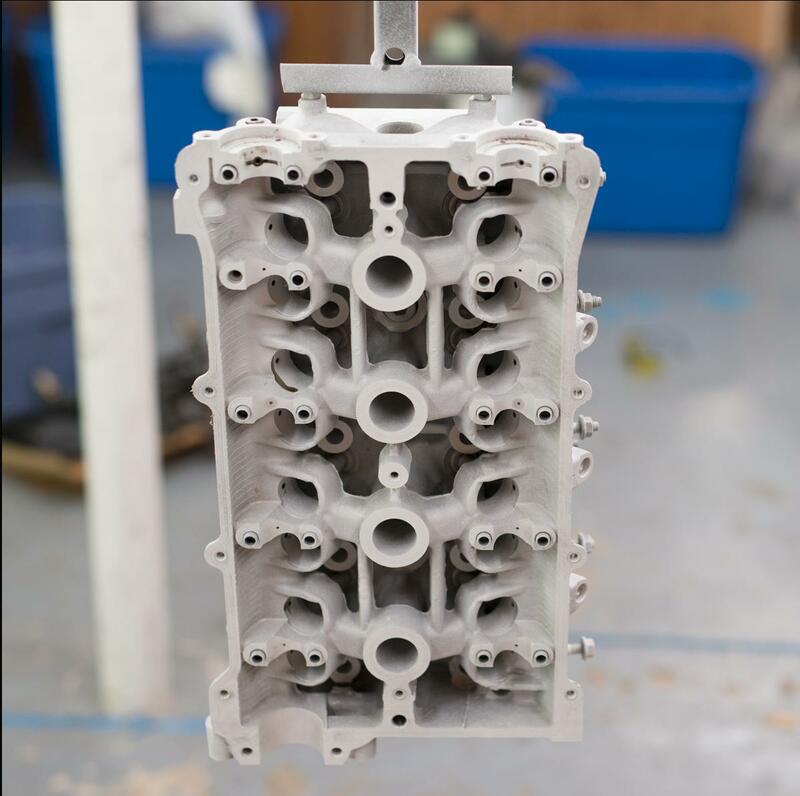 Scanning whole engines without internals is much quicker and the quality for fit up doesn't need to be as high. That's just outstanding! How large is the data set for the block scan? What did you use to remove gloss? Paint/primer/foot spray? I think it was a coating of dye penetrant testing developer. Wow, those are impressive. 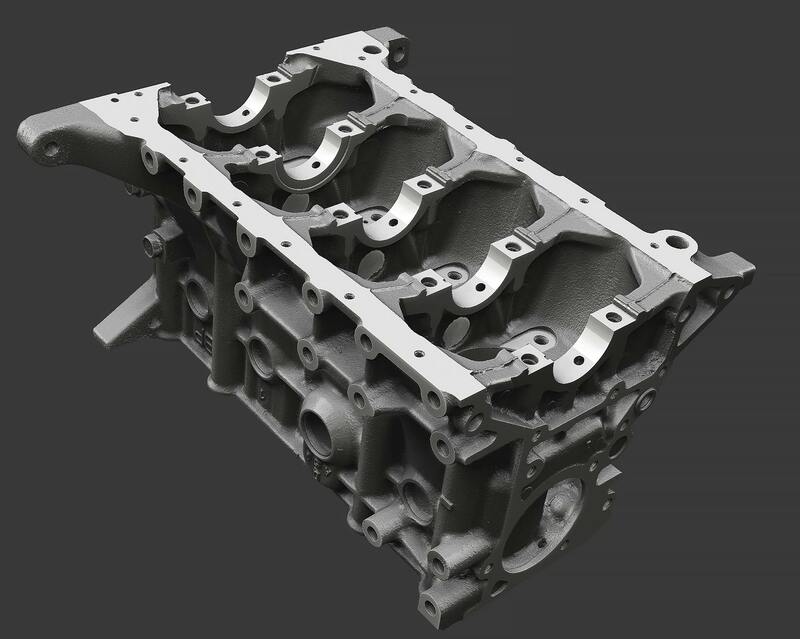 I scanned the CBR1000RR engine for my project with a Microsoft Kinect 1 and ReconstructMe software. Then with Meshlab, you can put multiple scans together and align them and make a closed volume mesh. I'm only really using it as a visual guide, but I pull that mesh into Proe and then model the important parts (mount points). I'd say the scan is +- 1/8" or so (with proper scaling). ReconstructMe and Meshlab tutorials all over youtube. I've also done line laser scanning (David3d) a while back with pretty accurate results. It was free back when I used it, I think it's part of HP now.